The Darrington Community Center was built in 1954 with donated time, skill and materials from caring residents of the Darrington Area. The construction, past and present use of the building define the generosity, spirit of cooperation and heritage of the residents of this remote, rural community. The Community Center is the heart of Darrington activities. 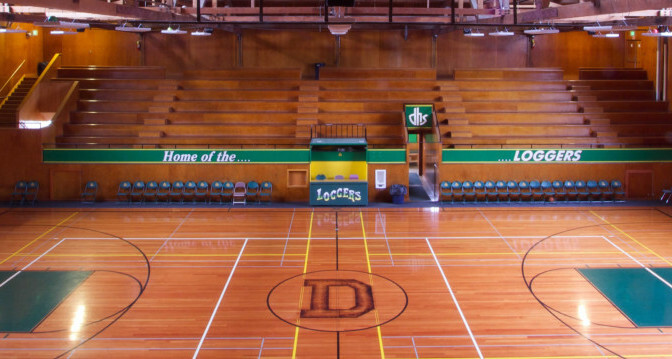 The DCC, which houses a gym, meeting room and kitchen, was built 62 years ago to serve the societal needs of people living in a remote area of Washington State. The meeting room and kitchen are rented for weddings, baby/bridal showers, reunions, potlucks, tribal meetings and other gatherings. The DCC offers the kitchen and meeting rooms to area residents for funeral dinners and memorial gatherings upon request. It is also a designated Red Cross shelter in the event of an emergency. Would you like to schedule an event at the Darrington Community Center? The facility comes well equipped to meet your needs for your special event. Call Town Hall and reserve your event today! Visit the Darrington Community Center website for more information!